There has always been something inherently terrifying about the work of Gridfailure. They are a band who are ominous and powerful, weird and destructive, and unafraid to craft sounds that will crack your skull in. There is a demented and fervent glory to this band, a twisted reality which the project mastermind, Dave Brenner, has painted since day 1. 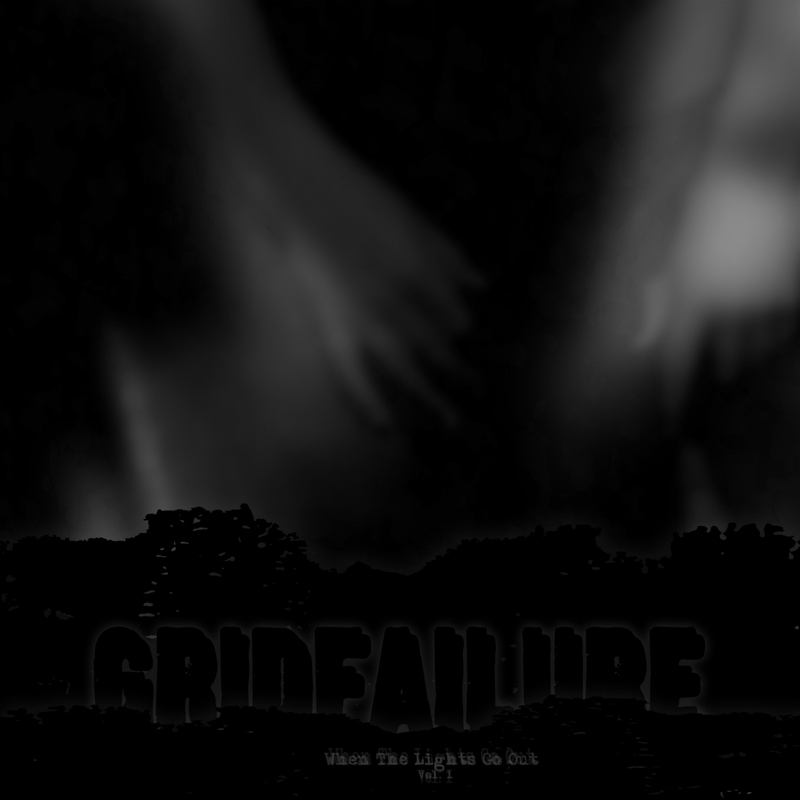 Digging in deep to what Gridfailure have done is consistently unsettling, and that's exactly why I've always been so deeply in love with what's happened here, perhaps nowhere is Gridfailures demented vision more clear than on When The Lights Go Out Vol. 1. What makes this particular offering from the ever prolific noise merchants so fascinating is the step it takes away from what Gridfailure has been traditionally known for. Focusing more on deeply unsettling atmospheres, complete with snippets of faded dialog serve to create a record that will make your hairs stand up on end. I think it's very rare in this jaded society of ours to find music that legitimately freaks you out, that taps into that animal instinct which initially draws so many of us into the world of extreme and underground music. When The Lights Go Out Vol. 1 is the sort of record that immediately addresses that and leaves you utterly mesmerized. There is something deeply disturbing about this release, the throbbing beat of a track like It Came From Here, when coupled with the immense and demented soundscapes Brenner paints overtop is twisted. It forces us to look at a darker side of the human psyche and embrace parts of ourselves that I think we might not be as comfortable with as we claim. There is a weird reality unfolding before you every time you dip into a Gridfailure release, but When The Lights Go Out Vol. 1 is truly something special - a step forward for a fascinating project.